The collapse of the facilities management and construction services firm Carillion puts a spotlight on the bad business practises some corporates engage in – including their relationship with SMEs. Always a vulnerable part of the business food chain, SMEs are in a risky position when they take on a big corporate client. On the one hand having a major account can open more doors to lucrative work – but these relationships are unequal when it comes to the distribution of power. This is particularly felt when it comes to getting paid on time. 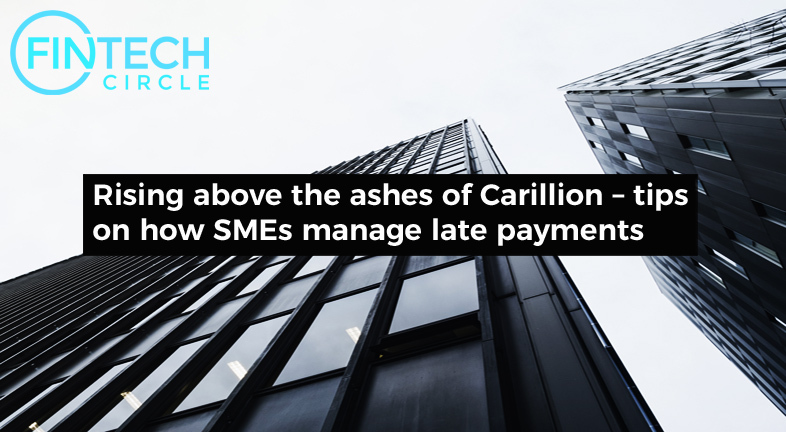 The demise of Carillion exposed the plight of thousands of SMES that are owed money by the company and have been chasing late payments for month – unaware of the behemoth’s implosion. These SMEs must now go through the pain of addressing cash flow issues that could potentially lead to the demise of many of them as well if they can’t get financing to continue their operations. The British Business Bank announced it would provide additional £100m of lending to affected small businesses in the wake of the Carillion crisis, while other banks have also agreed to offer short-term support during this challenging period. But is this enough? The end of Carillion shows that SMEs aren’t give the fair treatment and support they deserve – and this is worrying, given they are the break and butter if every economy. In the UK there are five million SMEs driving the nation’s future prosperity. And while a new inquiry by the Treasury Select Committee into the issue of SME finance, and the Business Committee’s inquiry into the relationship between large firms and SMEs is welcomed, more needs to be done. According to a recent survey of more than 500 SMES by Dun & Bradstreet late payments was putting the future at risk for 58 per cent of these businesses. The research also showed that on average SMEs were owed £63,881 in late payments, with 11 per cent owed between £100,000 and £250,000. This withholding of payments brings about cash flow difficulties for 35 per cent, delayed payments to other suppliers for 29 per cent and reduced profit performance for 24 per cent. The culture of late payment is getting worse. According to research conducted by MarketInvoice, over 60% of invoices issued by UK SMEs in 2017 – worth over 21 billion- were paid late – up 62% from the previous year. An economy can’t thrive if SMEs cannot resolve this critical issue – they are worth too much to national growth and to the cohesiveness of communities. In the UK, SMEs account for 47% of all private sector turnover – a sum too big to ignore.